Master & Dynamic outdid revamped the MW40s with the new MW60 headphones. If you're looking for a great pair of headphones, take these into consideration. 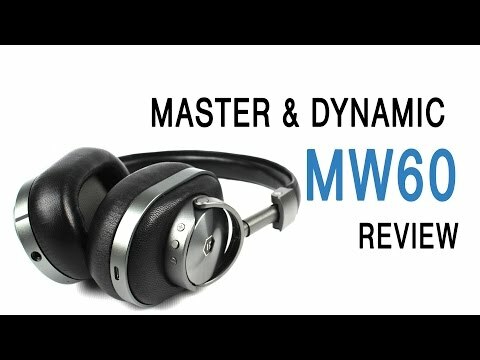 The MW60s are one of the best pairs of Bluetooth headphones out right now, flaws and all. Master & Dynamic aren’t quite at the level of a Beats or a Bose in terms of brand recognition, but they’re not unknown. You can find them in the Apple store and it’s not uncommon to see someone walking along rocking this brands headphones. 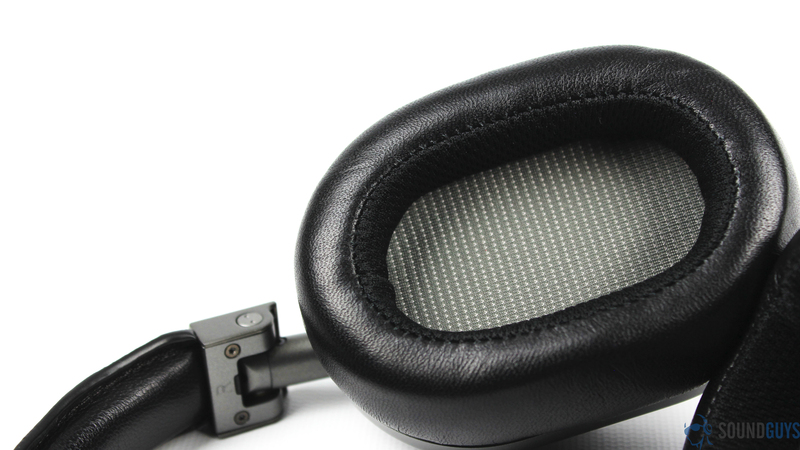 Their products are quickly gaining recognition as they usually pair solid sound quality with very pretty design. We recently reviewed their brass in-ears the ME05 earbuds and figured we should take a look at their newest over-ear option, the MW60s. The box that the headphones came in is less like a box, more like a secret agent briefcase complete with combination locking system. It’s a travel case made in partnership with the brand Zero Halliburton and if you want to feel extra cool, it’ll cost you a few bucks more at the point of purchase. Opening it made me feel like James Bond accepting a secret mission. Inside the briefcase you’ll get the MW60s, a carrying pouch for the headphones, a 3.5mm audio cable, micro USB charging cable, an even smaller carrying pouch, and of course, the instructions and warranty information. Thankfully it didn’t self-destruct after I removed the headphones. If you decide not to opt for the baller traveling case, the regular consumer packaging is just a simple white box with the headphones pictured on the front. Simple and classy. Unfortunately, these beautiful headphones are not without their cons. The MW60s aren’t heavy, but they’re not light. I found that a small shake of my head causes the ear cups to flip outwards, forcing the headphones off of my head. Of course you probably won’t be shaking your head too often, so it might not be too big of an issue. Still it’s worth mentioning considering the price of the MW60s. They’re not exactly the kind of headphones you’d want to replace if they slip off of your head and break (see the video review for an example). Another minor issue was that after a while the headband began to hurt the very top of my head and I had to take them off for a minute or two to get some relief. Again, this is probably more likely due to having worn these for 7 or 8 hours straight while testing so if you don’t plan on wearing these for extended periods of time we doubt you’ll have the same issue. The MW60s aren’t just your average pair of Bluetooth cans. They’re designed with a special antennae on the left ear cup that’s supposed to increase the standard range of 30 feet by roughly four times. Over 100 feet of range is a bold claim to make but Master & Dynamic back it up, kind of. As long as there were no walls in the way I couldn’t get these to skip if I tried, and trust me I tried. That said, throw a wall or two in there and things start to get a little jumpy. Still, considering how far I was form the source device and how many walls/floors were in the way I was blown away by how little it skipped. Using these when paired to a phone within reach is flawless and that’s how most people will probably use them anyway. Pairing it to a device was simple enough and the volume buttons can be held for a second or two to change skip tracks or return to previous ones. Master & Dynamic claim a battery life of 16 hours, but in our testing we got closer to 14 or 15. This is still a really solid battery life and will probably last the average person a good number of commutes before they’re forced to charge them back up. Keep in mind, should you find yourself low on juice you can always plug in the included audio cable and continue listening to music. Testing was mainly done on portable devices like phones and tablets, but (spoiler alert) I liked the sound so much that I also tested them on my Scarlet 2i2 audio interface just to really see what they can do. Another thing to keep in mind if you’re thinking of getting these headphones is that they don’t do a good job at noise isolation. During commutes I was able to hear nearby conversations fairly easily unless I maxed out the volume. The problem with that is sound leakage. A good seal works both ways so being able to hear the outside over the music, also means that the outside was able to hear my music too. If you’re into boomy thumping bass look somewhere else, these are not for you. That said, it doesn’t exactly lean towards accuracy either. Instead it meets somewhere in the middle of accurate and embellished, and it’s great. I couldn’t get enough of Santigolds ‘Can’t Get Enough of Myself’. Partly because it’s a great song, but also because the rhythm of the bass along with the bass kicks were so easy to follow that I couldn’t help nodding my head along to the beat. The mids certainly have a good amount of emphasis but it’s not overbearing. Vocals come through loud and clear and guitars have a good amount of detail to them. A good example of this is the song ‘Afterlife’ by Avenged Sevenfold where all the grit of the guitars is preserved nicely without sounding forced if that makes any sense. Highs weren’t harsh at all and did have a good amount details in cymbals and hi-hats, but they weren’t amazingly clear. There was definitely a small pull on some of the highs but that’s typical with headphones considering most people aren’t big fans of high pitched sounds half an inch away from their ears. Overall I was very impressed with the MW60s. Comfort was my biggest issue as they’re not as snug as I would like and the sound leaks like every album of the past decade, but besides that I have no complaints. The sound was great and the MW60s look gorgeous. If you’re looking for a cheap and good pair of Bluetooth headphones, this review is the wrong place to be looking. However if you’re already planning to spend top dollar for the best you can get, I have zero issues recommending these.